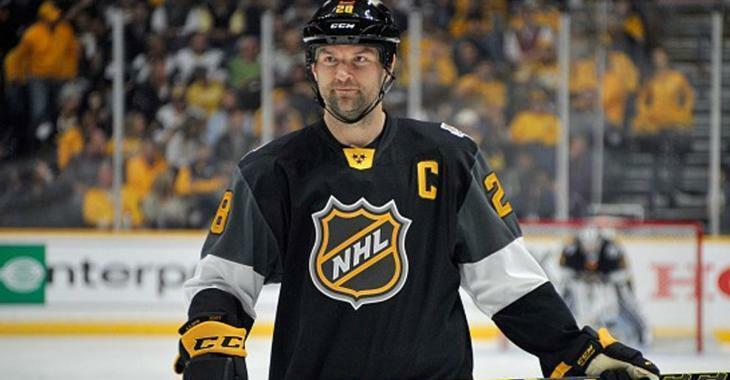 NHL News : Former NHLer John Scott almost died on Sunday in fluke incident! Former NHLer John Scott almost died on Sunday in fluke incident! “I’m glad I’m still alive,” he says. We all know the National Hockey League isn't the same without John Scott, and the world would be as well if he weren't around anymore - especially for his wife and five beautiful daughters. It almost happened on Sunday, when Scott was involved in a fluke incident, as he revealed on his Instagram account and later explained to Chris Kuc of The Athletic. It was a sunny day on Sunday and Scott wanted to clear the snow off Cedar Lake situated off his backyard in Traverse City, Mich. He and the girls were planning to have fun on the ice, and an ice fisherman was set up in the near-distance. It seemed perfectly safe for Scott to clear the snow: he had walked on the lake the previous week to check it out and everything seemed fine that morning. Scott knows when and how to have a good time as he did throughout his NHL career with the Wild, Blackhawks, Rangers, Sabres, Sharks, Coyotes and Canadiens from 2008-16. And we all remember how much fun it was for him when he was voted into the 2016 NHL All-Star Game by fans and went on to win MVP of the game. However, on Sunday it wasn't fun - it was another F word: fear that Scott felt as he suddenly found himself in a life-or-death situation. Scott explained to Kuc that he lost his shoe and a shovel as he attempted to get him out of the frigid water, in which he was soaking into for about a minute. He finally made it out and headed back home to his wife and daughters, soaking wet. Scott went back on Monday to the broken ice spot and showed his wife Danielle, twins daughters Estelle and Sofia, and older daughters, Eva and Gabriella and Instagram followers where the incident had taken place. Since the incident, Scott and the family have decided not to clear the ice and take the year off. “I’m glad I’m still alive,” he said.